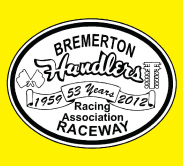 27 Jan 2019 Kent, WA – Packing the grounds with a near record number of entries for a non-paying race produced some great kart racing. Though foggy all day the thing it did best is kept the racing conditions the same thru practice, qualifying and the three-heat race. The commonality in the three group 206 class is a Briggs and Stratton crate motor and a minimum weight for each kart then boils down to driving abilities. With colorful badging from the different manufactures and even home built with lap times less than two seconds apart which produces side by side and nose to tail racing around the 0.850 mile track at PGP. In the main final the fastest lap came from the second place kart trying to chase down the winner was 1:09.967. Not bad time there now let this sink in, the fastest lap in the Jr. class also the second place finisher trying to chase down the winner turned in a lap of 1:09.305. Also, to note the Jr. winner turned in a faster lap time then the winner of the main. You gotta watch the next generation coming up as they soak it all in with youthful enthusiasm. Get on the internet and find PGP Motorsports Park and join in on the fun. The Jr. winner was Trey Amzen and the main was Kevin Janders with William Evans in the Heavy class. 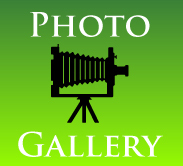 Over 400 Images are now available – click here to go to the photo album. 26 Jan 2019 Kent, WA – It was a classroom full of students and a paddock loaded with lappers out to take advantage of the great winter driving weather at ProFormance Racing School. For the students sitting in the classroom at the Performance Racing School the unknown is about to be pointed out with discussion and charts. Owner and instructor Don Kitch will guide you thru the four exercises you will be doing and the correct way to navigate the 2.25 mile track at Pacific Raceways. Going thru the class will open your eyes to the things that you may and will confront out on the hi-ways and bi-ways and how to safely navigate thru them when it happens. Young drivers, seasoned drivers and even bucket listers praise the program at the end of the day. Contact Performance Racing School and learn what they are talking about. Images from all three sessions today are now available – click here to go to the photo album.